Lebanon NH -On June 07, 2018 at approximately 8:00AM, the Lebanon Police Department and the New Hampshire Attorney General’s Drug Task Force were conducting an investigation into the distribution of heroin in the City of Lebanon. While conducting surveillance of a local parking lot on Main Street, officers made contact with a female subject who had driven into the lot and was believed to be involved in drug distribution. After making contact with this female, over 30 bags of heroin were recovered from her person. 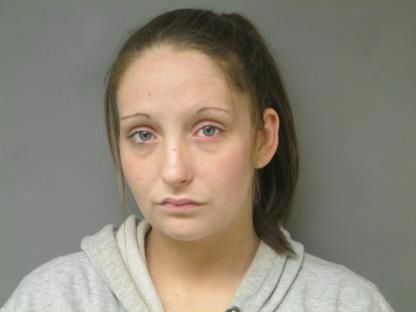 Hannah Olmsted, age 25, of Hartland Vermont was arrested and charged with one count of Possession of the Narcotic Drug Heroin with the Intent to Distribute, a Class B Felony. Olmsted was subsequently released by a Bail Commissioner from the 2nd Circuit Court on $5,000 Personal Recognizance Bail and will be arraigned on June 25, 2018 in the Grafton County Superior Court.